As machines go, the human body is an extraordinarily efficient one. The way we move — our arm swing, cadence, step length — is all calibrated to minimise energy consumption, allowing the body to get the maximum mileage out of calories it consumes. But in the burgeoning field of soft robotics, scientists have struggled to replicate this. Scientists imagine that one day, robotic exoskeletons could help sick kids walk and make the elderly stronger, supplying weak bodies with supplemental strength. If only those robotic exteriors could move as efficiently as a healthy human body. Now researchers at Harvard believe they may have the key: a robotic ankle. Yes, we know, it looks like a high-tech knee brace, but the key innovation of this robotic exoskeleton it to pull the ankle forward mechanically. Robotic exoskeletons are typically suits made of soft material equipped with fake mechanical muscles intended to take a load off of real ones, thus augmenting the body’s natural abilities. The more work those mechanical muscles can do, the less the wearer’s real body has to. But many models use heavy batteries and motors, along with uncomfortable frames that make walking harder. The Harvard researchers were interested in putting more of that load on the robotic exoskeleton. To do so, they decided to explore the human gait. 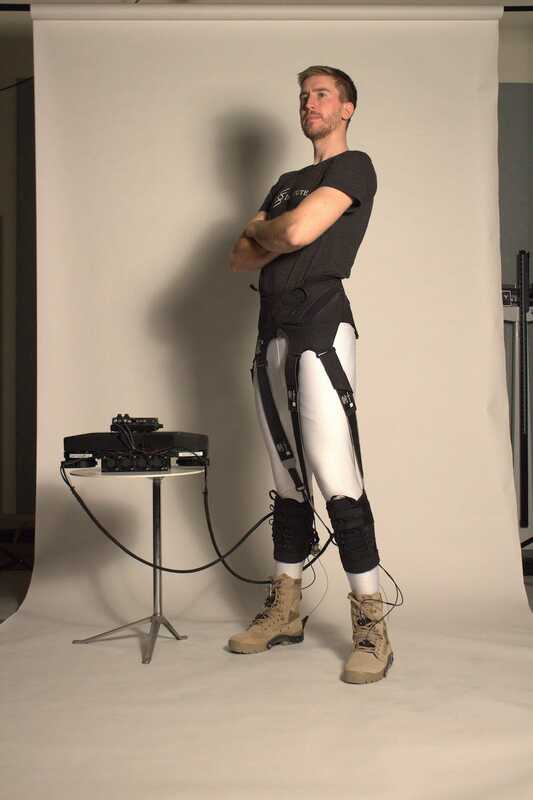 By studying seven healthy men wearing an exosuit on a treadmill, the scientists determined that a robotic ankle conferred the wearer maximum assistance. The robotic ankle helped to propel the wearer forward while facilitating a natural stride. The ankle also assisted with hip movement. This, researchers wrote in a paper published today in Science Robotics, caused the wearers’ metabolic energy consumption to decrease by 23 percent—a record rate.